Weird Wonderful Web: Pop Band Create New Member From Scraps! Japanese Pop star Aimi Eguchi from band AKB48 is unreal - literally! 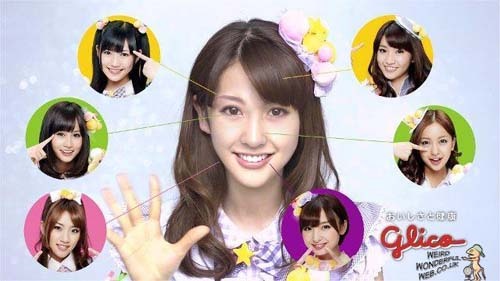 Japanese pop group AKB48 have fooled fans into believing a new member had joined the group. But you could maybe describe new member Aimi Eguchi as a patchwork quilt of a popstar. Now we've all heard of pop groups being manufactured but this is ridiculous! Aimi Eguchi, latest member of Japanese pop group AKB48 only exists in the digital world. She is made up of a composite of 'the best bits' of the other six main members of the band. A sort of fetching, female Frankenstein's monster I suppose. Hey wait... is this what the SugarBabes, and En Vogue before them, already did?